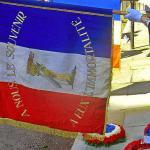 In what was a joyful ceremony in front of Charles de Gaulle's statue in Westminster, French representatives and military personnel gathered to commemorate his historic 18 June announcement to the “Résistance” in World War 2. In 1940, when the French government was on the verge of signing an armistice with Nazi invaders, de Gaulle rallied the French to join him in his fight against totalitarian rule. His speech was given exactly 75 years ago, but first broadcast on the BBC on the 22 June. In what was an emotional day for many - including for former French Prime Minister François Fillion who seemingly wiped a tear away - the crowd listened to the words of France’s Ambassador to the UK Sylvie Bermann, as she praised the “spirit of “résistance”” shown by those who rebelled against the Vichy government in the Second World War as well as the co-operation between both France and the UK in the past and today. She thanked the British for their “crucial support” to the Résistance and Charles de Gaulle’s influence in inspiring the French to fight back. The latter’s speech was then read out in full, before Mrs Bermann, followed by several others, laid flowers at the feet of de Gaulle’s statue. Moments later the bugle sounded, played in honour of the deaths of those who fought so bravely against Vichy rule in France. Then came the powerful sound of silence. The minute's silence was ended by the patriotic voices of the military personnel singing the Marseillaise, but with a hint of sadness and sorrow. An interesting arrangement was that the new generation of French fighters stood directly opposite war veterans from the Royal Hospital Chelsea, with only the Charles de Gaulle statue between them. Once the ceremony ended, the crowd mixed, chatted and reflected on the morning’s events. 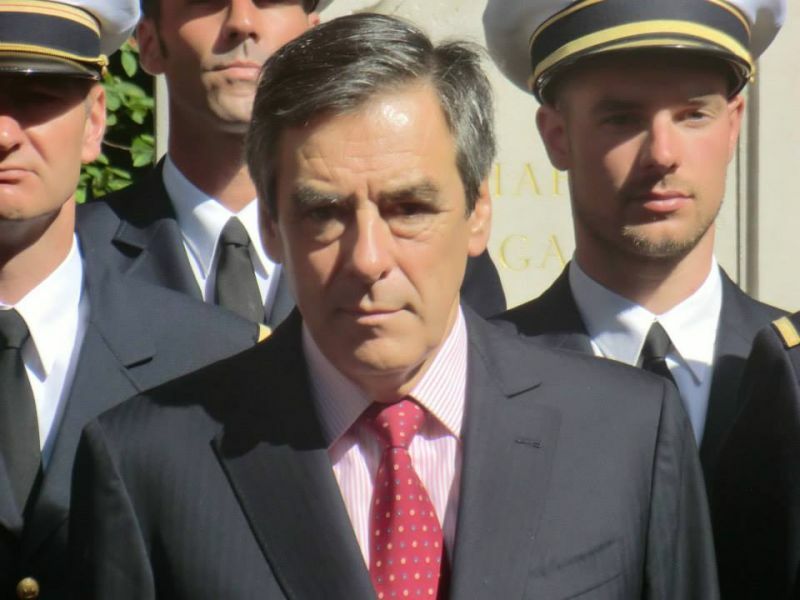 We spoke to Mr Fillon about his thoughts on the day, with the former PM - quite obviously touched by the ceremony - saying that the co-operation being commemorated between France and the United Kingdom was still very much relevant today. He explained that we were “constantly subjugated to external threats” and that both nations were working together to create a safer environment for their people. The ceremony was also attended by members of the 106th squadron from Bordeaux, who had cycled from their home town to London, following de Gaulle’s path. Along the way, they told us, they had visited other military bases before flying over the channel. The ceremony, despite being held for three quarters of a century, has clearly not lost its magic. People still remembered and respected the Résistance’s struggle, along with the UK’s presence alongside France during tough times, still seen today. De Gaulle’s inspired patriotism remains strong among the French, who - thanks in part to him - can call themselves free.